The National Astronomical Observatory of Japan is the national center of astronomical research in Japan. 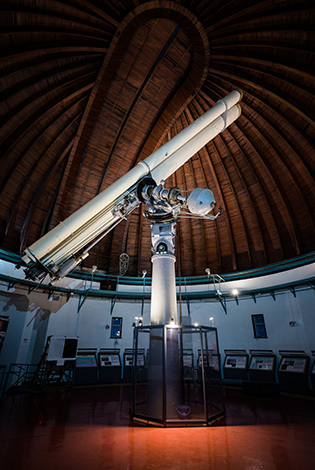 Visitors can see historic buildings and telescopes at the site. Regular stargazing parties are held each month, and the 4D2U (Four-Dimensional Digital Universe) Dome Theater is open to the public on a regular basis. Reservation is required for both events. * Entry is allowed until 16:30.